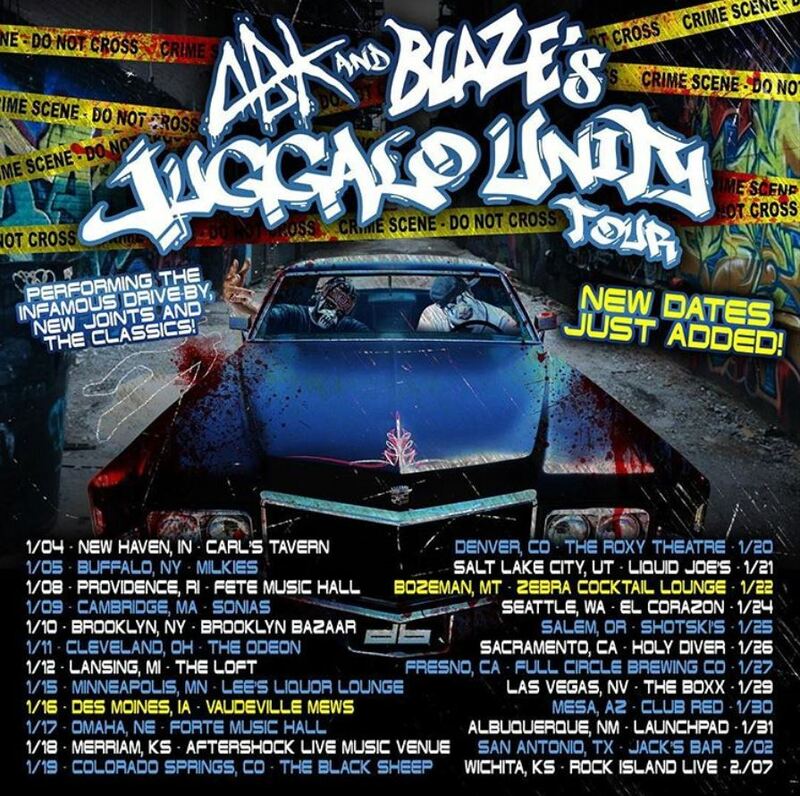 We’ve been bringing you updates about Anybody Killa and Blaze’s upcoming Juggalo Unity Tour as we receive them. Now, there have been two more dates added to the growing list of tour stops! For those of you in Des Moines, Iowa and Bozeman, Montana, you now get to see this tour! That brings the count of tour dates to 24 so far, and there are gaps between a few of them that will hopefully get filled in before the tour starts up next month.